The UK is threatening to ban Rev. 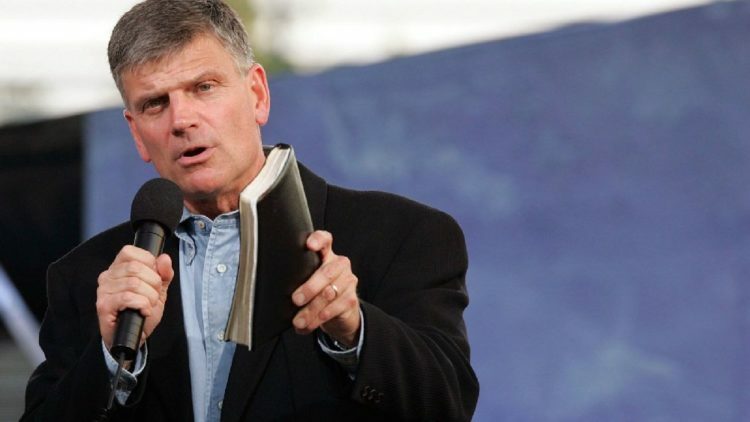 Franklin Graham, son of legendary evangelist Billy Graham, for the crime of hate speech. The UK has gone off the political correctness deep end here. Graham is a devout Christian and in America, his speech is protected under the First Amendment. But they have no such protections in the UK. If government officials have their way, Graham will be banned from an event next year that is put on by his own non-profit. According to the Asheville Citizen Times, several government officials have asked the UK home secretary, Amber Rudd, to consider refusing Graham entry into the country next year when he is slated to be a featured speaker at a September festival. The hate speech they refer to encompasses things that Graham has said concerning Islam, Muslims and the LGBT community. Since Graham is a Christian, he is now a criminal in the UK. They cite Graham saying that Islam is “an evil and very wicked religion.” Notice how nothing happens when you disparage Christianity however. Christians view Islam as the antithesis of Christianity, replete with an anti-Christ in end times eschatology. Critics from the UK began a Change.org petition calling for the evangelist to be barred entry into the UK for the religious event. Last time I looked, it had over 7,300 signatures to ban Graham from the country. They claim he will promote prejudice and damage interfaith relations. This is all because he does not support Islam and believes marriage is between a man and a woman. Just saying so in the UK anymore is now deemed a hate crime. At this rate, they will wind up banning all faithful Christians simply for their faith. That’s where this insanity leads unfortunately. Meanwhile, Afzal Khan, the Labour member of parliament for Manchester Gorton, told the Guardian that Graham’s “views are not welcome.” Spoken like a true Islamist. And yet this doesn’t work against Muslims. The Brits are allowing Islamists to take over their country and apply their prejudices on Christianity, our President and our country. Gordon Marsden, another MP, told the BBC: “I think frankly the evidence is piling up that his visit to the UK… would not be a good thing and not probably in my view a very Christian thing.” He added that Graham views are “incompatible with what Jesus said in the Bible.” That is not only a lie, but blasphemous. It smacks of Marxist liberal theology. The official in the town where the event is to be held said this, “If matters are brought to our attention that could constitute incitement to hatred, we will forward these to the relevant public authorities and should this be proved we will not hesitate to terminate this booking.” If I were Rev. Graham, I would not bother going. But he’s a brave, principled man, I doubt anything would keep him from trying to go there. The UK is toast. They are lost to Islamists and Marxists. The BGEA told the Guardian the event in question is partnering with local churches to spread the Gospel. 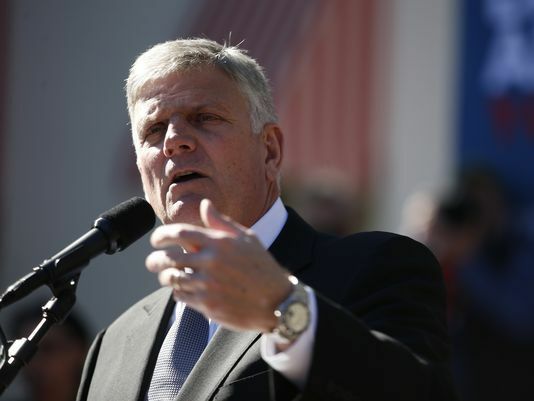 “It will be a positive and encouraging event with music and also a message from Franklin Graham about the hope that can be found through a relationship with Jesus Christ. It will be free and everyone is invited to attend,” the group said. And that is what the Rev. Graham has always preached. He has a right to not bow down to Islam and he has a right to believe the teachings of the Bible. If being a Christian makes you a politically incorrect criminal, you can count me in.